A research group at the University of California, San Diego has engineered a hydrogel filled with nanosponges. A research group at the University of California, San Diego has engineered a hydrogel filled with nanosponges. These nanosponges are capable of absorbing dangerous toxins from the blood stream, and could potentially lead to the treatment of Methicillin-Resistant Staphylococcus aureus (MRSA) infection that causes lesions on the skin. 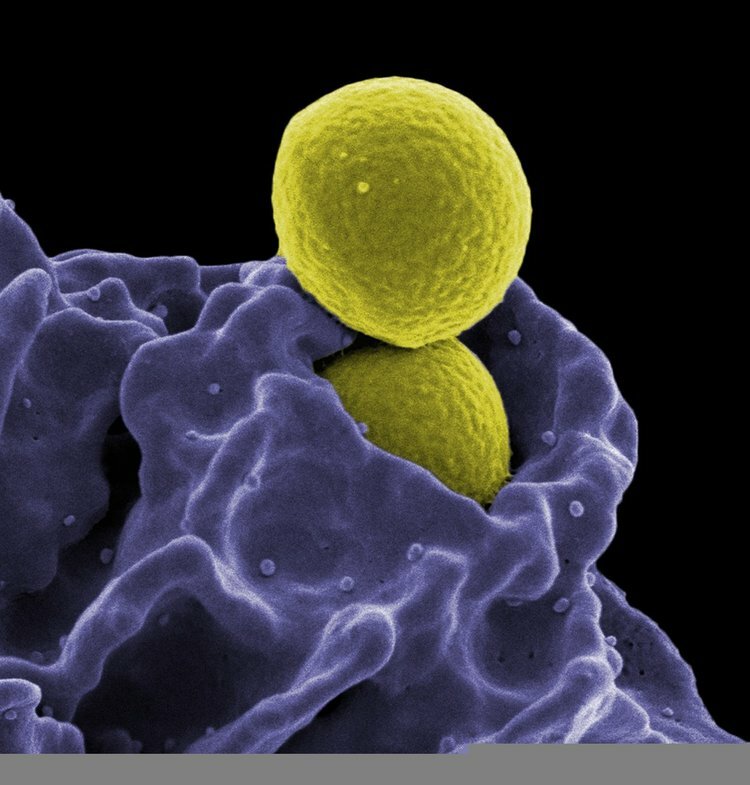 MRSA infection could cause serious damage to one’s health, as the causative bacterium is also resistant to numerous other antibiotics. Hydrogel is a gel made up of water and cross-linked polymers. Nanoparticles are one billionth of a meter in size and offer great advantages in medicine. By combining a sponge made of nanoparticles, which soak up toxins from the blood stream with the hydrogel, the research team has arrived at a unique solution to treat infection spots. “We combined the strengths of two different materials – nanosponges and hydrogels – to create a powerful formulation to treat local bacterial infections,” says Dr. Liangfang Zhang, as reported in the University of California, Jacobs School of Engineering news. Since the nanosponges are hard to use by themselves, the team combined it with the hydrogel, which holds the sponge in place. About 80% of the nanoparticles were still found at the injection site in mice after two days when combined with hydrogel, compared to 20% retention when nanoparticles were injected alone. This treatment has been used in experiments with mice and found to be effective with reducing the lesions caused by MRSA infection. Nanoparticles are coated in red blood cell (RBC) membranes and injected at the site of infection. Since the RBCs are the targets for toxins, the nanoparticles are able to absorb them, effectively removing them from the bloodstream. This keeps the toxin from wreaking havoc in the local blood, skin, and muscle tissue. Because no antibiotics are used, the fear of the infecting microbe gaining resistance to new antibiotics is also greatly reduced. This technology has been used by the research team to absorb dangerous toxins produced by other, antibiotics-resistant bacterial species like Escherichia coli. If the technology is proven effective in humans, it would greatly reduce the damage caused by harmful, multi antibiotic-resistant bacterial infections, thus significantly decreasing the use of antibiotics. Elisseeff, J. (2008). Hydrogels: Structure starts to gel. Nature Materials, 271-273.